There are wide variety of pasta recipes. 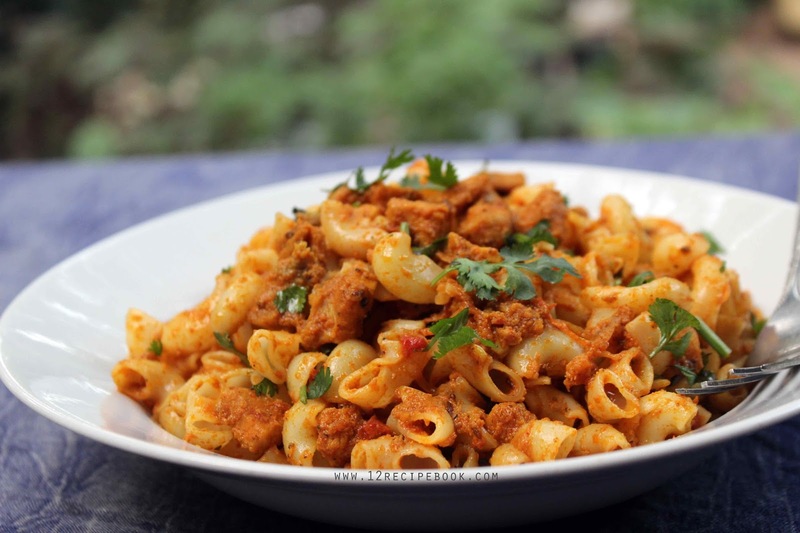 Curried chicken pasta is one among them. It is a mildly spiced Indian style pasta preparation. 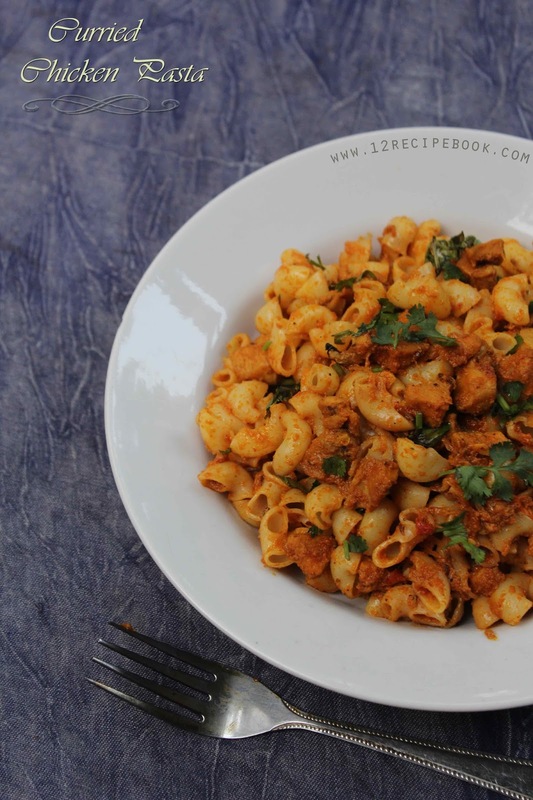 Here is the recipe of making easy curried chicken pasta. Cook pasta in boiling water by adding salt for about 6-8 minutes. Add sliced onion and saute until nice golden in color. Add ginger and garlic; saute a minute. Add tomato and saute them until mashed. Add turmeric powder, chilly powder, coriander powder and pepper powder; mix well. Add cooked chicken pieces and saute; mix well. Add coconut milk; Cover the lid and cook for another 15-20 minutes until the chicken pieces gets cooked well and oil floats on top of the curry. Then add cooked pasta and mix well. Garnish on top with coriander leaves and serve hot.